Our New Home Foundation Inspection evaluates the condition of your new home’s foundation. 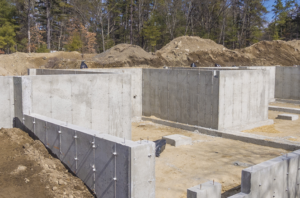 We conduct our New Home Foundation Inspection after forms have been removed from the foundation and just prior to back-filling soil against the foundation walls. Our inspection helps to minimize potential long-term problems that otherwise may occur if not identified early and corrected by the builder. Our New Home Foundation Inspection is the first of our new home phase inspections, which occur at predetermined times in the construction process; other phase inspections include our Pre-Drywall Inspection and Walkthrough Inspection. Our New Home Foundation Inspection includes review of sewer and drain lines prior to laying the slab. We also inspect footings, drain tiles, and waterproofing. If we identify issues, we provide specific recommendations and next steps.